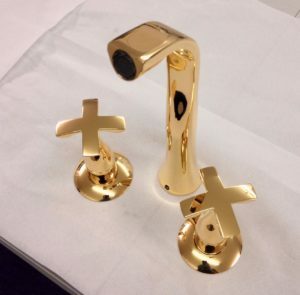 Our customer purchased a new set of chrome taps that needed gold plating to match the existing gold fittings in his bathroom. We chemically stripped the chrome to reveal a nickel base layer. We were then able to plate a rich layer of 24k gold.